ADORABLE, Impeccably Cared for AND Lightly Lived in 3Bed/3 Bath Home in sought after Southcreek. Natural Light Floods the Main Floor. Gorgeous White Kitchen with an Island and Plenty of Space for your Table Overlooking the Intimate Fenced In Backyard. The Family Room is Open to the Kitchen and is Very Spacious, making it the place to be for Sunday Bronco Games. The Powder Room on the Main has a new Vanity and is Updated. Upstairs 3 Great sized Bedrooms and the Laundry Room. Very nice and Convenient! Washer and Dryer Included. The Master Bedroom is Plenty Big for a King Size Bed and has a Very Large Walk-in Master Closet. The Master Bath ensuite is updated and Includes a New Tile Floor. You will also find another Full Bath that has been updated as well. 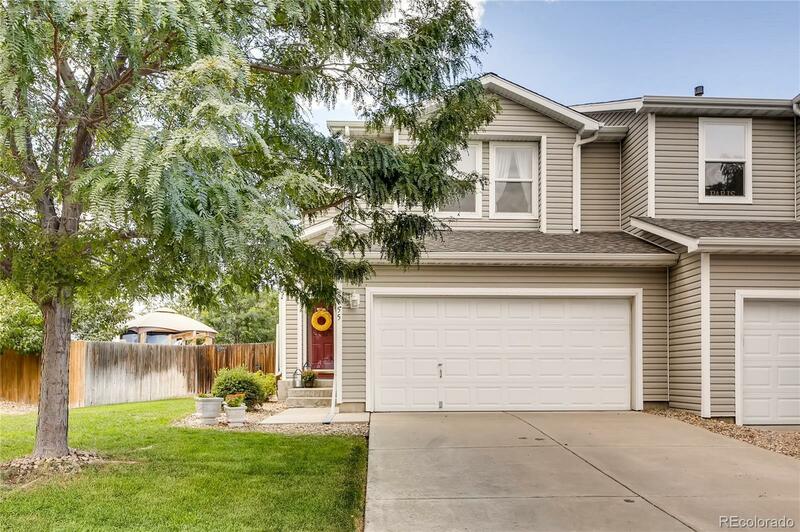 2 Car Attached Garage, Private Low Maintenance Backyard, Coveted Cherry Creek Schools, Over 100 Acres of Open Space nearby, Restaurants, Shopping and easy Access to E470. This Home Makes Living Easy! Welcome Home!